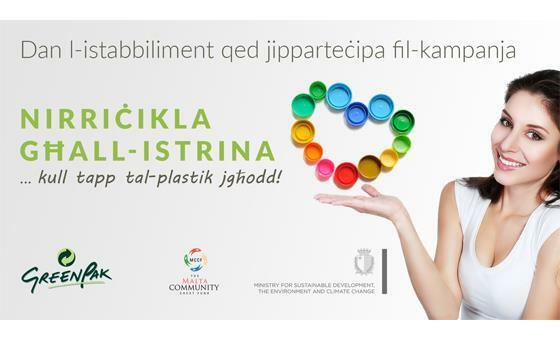 Under the patronage of the President of Malta, GreenPak collects plastic caps for recycling in aid of the Malta Community Chest Fund (MCCF). The more plastic caps collected, the more the donation for Istrina! Running for the seventh consecutive year, this year’s campaign aims to improve on the 2016 campaign, when GreenPak recycled over 14 million caps, having a total weight of almost 43 tonnes. The plastic caps were collected from 144 schools and 52 other entities including scout groups, social organizations, clubs, companies and Local Councils. The sum of €20,000 was raised for the Community Chest Fund Foundation in 2016! Why you should be part of this campaign. By being part of this campaign you will be helping those in need and diverting caps from being dumped at the landfill. 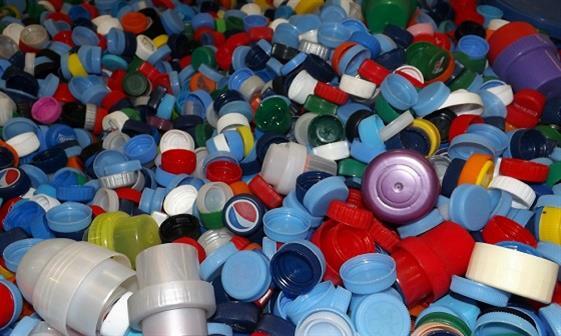 Bars, clubs, restaurants, hotels and other businesses can collect plastic caps. Once a considerable amount is accumulated, GreenPak will take away these caps from your premises and recycle them. Any money made from the recycling will be donated to Istrina. As a participating business you can affix a sticker, purposely provided by GreenPak, to encourage the public to come and donate more plastic caps at your establishment. Her Excellency, the President of Malta Ms. Marie Louise Coleiro Preca. - Register with GreenPak by filling the attached form here. A participation certificate will be provided to all participants. How will the public participate? The public can contribute by taking plastic bottle caps at the nearest school, or where the 'Nirriċikla għall-Istrina' sign is displayed at bars, clubs and other establishments in your locality. Please click here for the list of schools and other entities where you can take your plastic caps. What type of caps are collected? A record 130 schools from across Malta and Gozo are actively participating in the 5th edition of GreenPak’s ‘Nirricikla ghall-Istrina’ campaign.